I bet a lot of Imagine Cup competitors in Malaysia are nervous and excited today. Yes, today is the announcement of top 30 teams of Imagine Cup 2011 Malaysia, Software Design category. 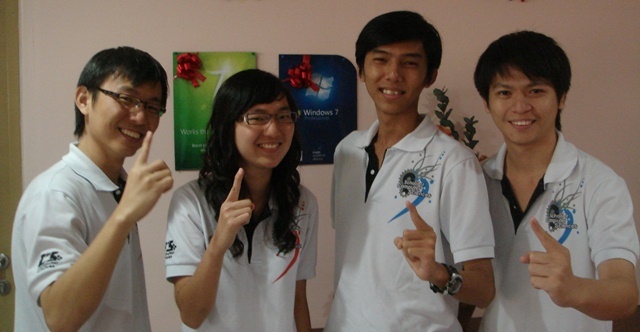 The top 30 teams will get their entrance ticket to the Imagine Cup 2011 Malaysia local final at Kuching, Sarawak. I had yet to get all the top 30 teams list but I get to know that 3 teams from Universiti Sains Malaysia (USM) had got into the top 30 final. So who are they? To learn more about team Vertex, read their story here. To learn more about team 1StepAway, read their story here. Will learn about their story soon. Stay tune then. So what about the other 27 teams? Who are they? I still don’t know yet, but I’m will tell you all once I know or catch my latest tweet.